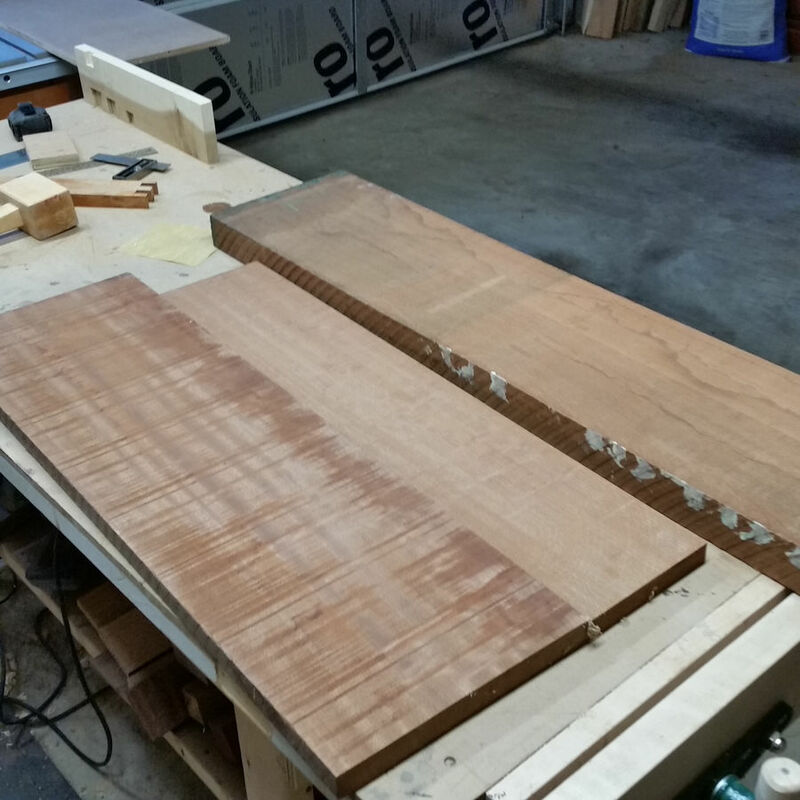 A few weeks ago, I saw a video of Kyle Toth's Limba table. 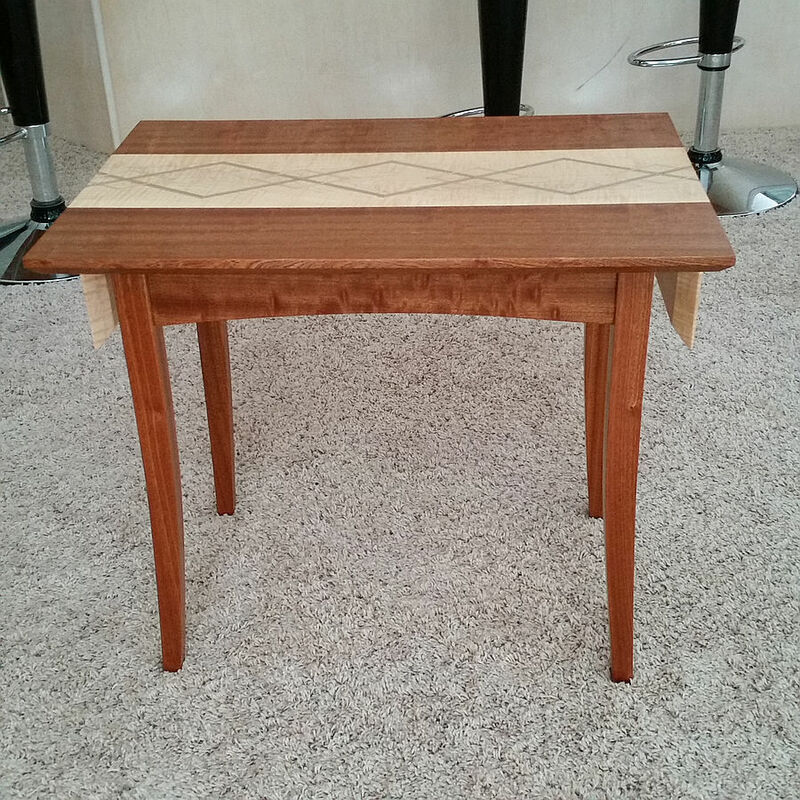 I really liked the idea, and I needed a side table, so I decided to make one along the same lines. 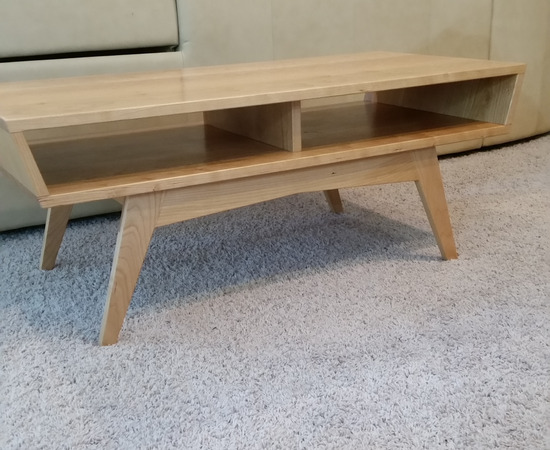 I'm pretty happy with the end result, and I thought some might like to have a look. 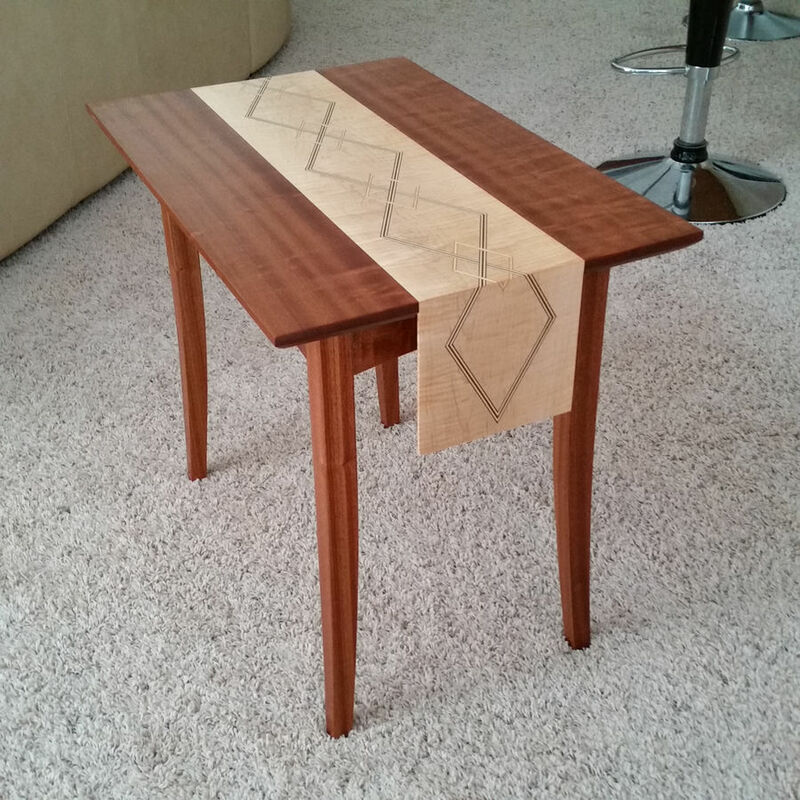 I had a nice piece of curly maple that I wanted to use for the 'table runner' portion. 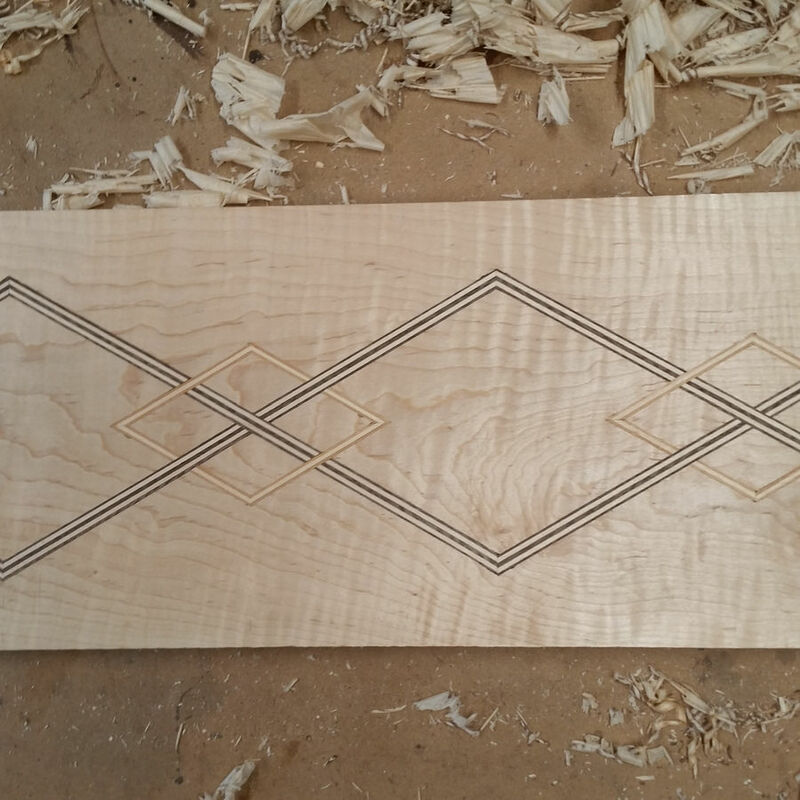 I drew out a few possibilities for a design to inlay. I even went so far as to make a template for this version, but it was not to be. 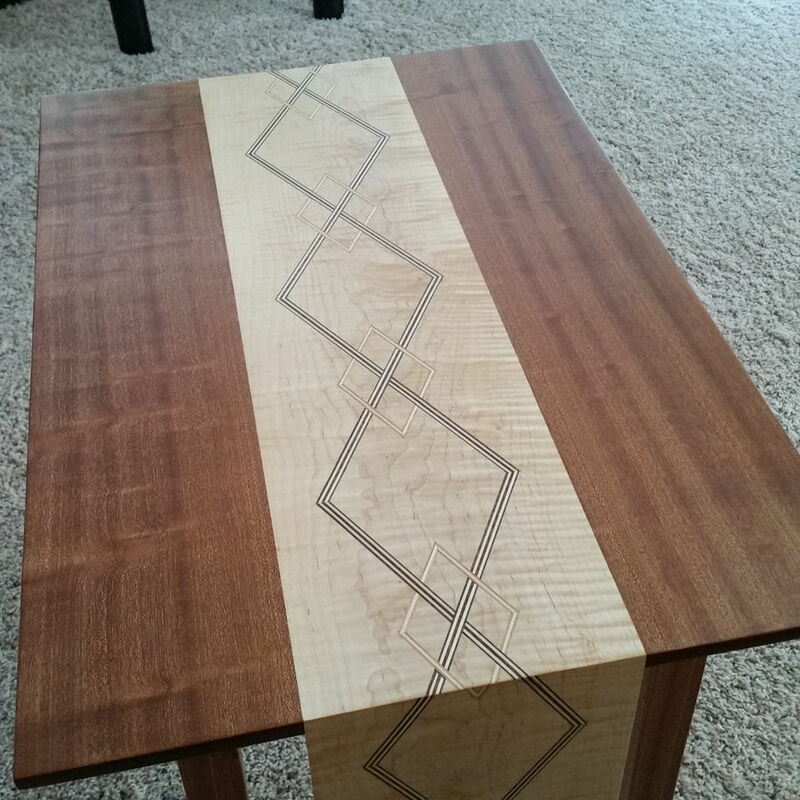 I finally decided on an argyle-like pattern for the inlay, but I wanted to make a few practice cuts to make sure, It wasn't perfect, but I was confident enough to go ahead. 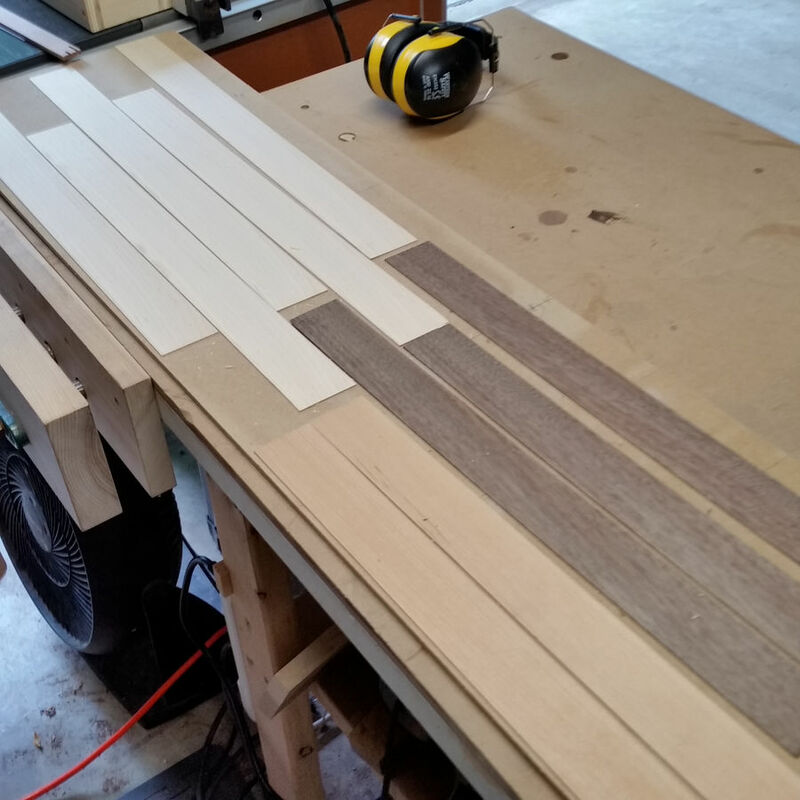 I cut some strips of 8/4 maple, walnut and cherry for the inlay. 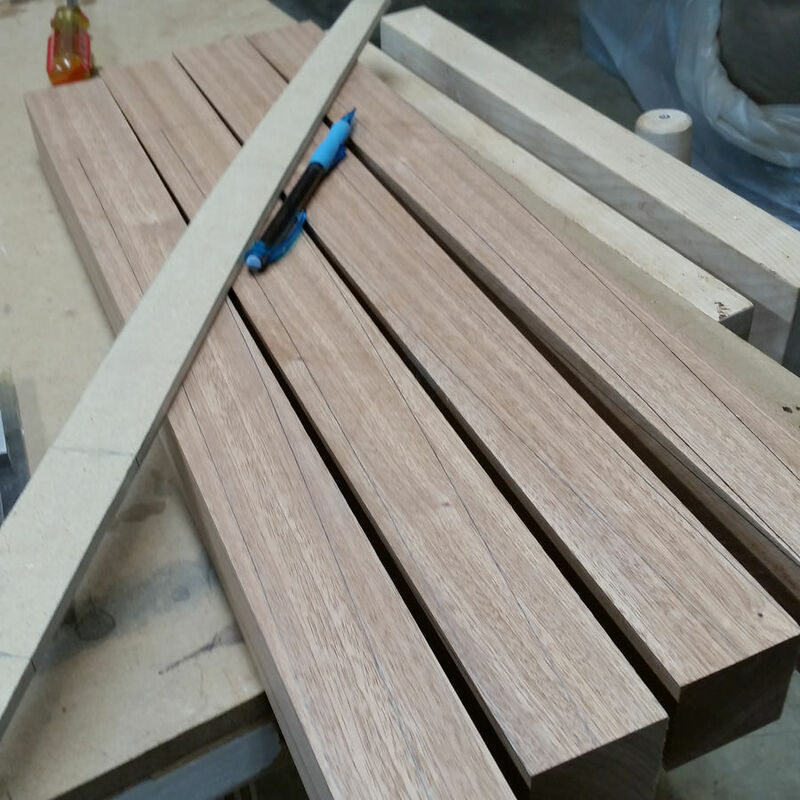 I needed to plane them down to a little under 1/16". Since my planer wouldn't go that thin, I used a little spray adhesive to tack them to a piece of MDF to get them to the right thickness. Afterwards, some acetone and a thin bladed scraper got them off pretty easily. 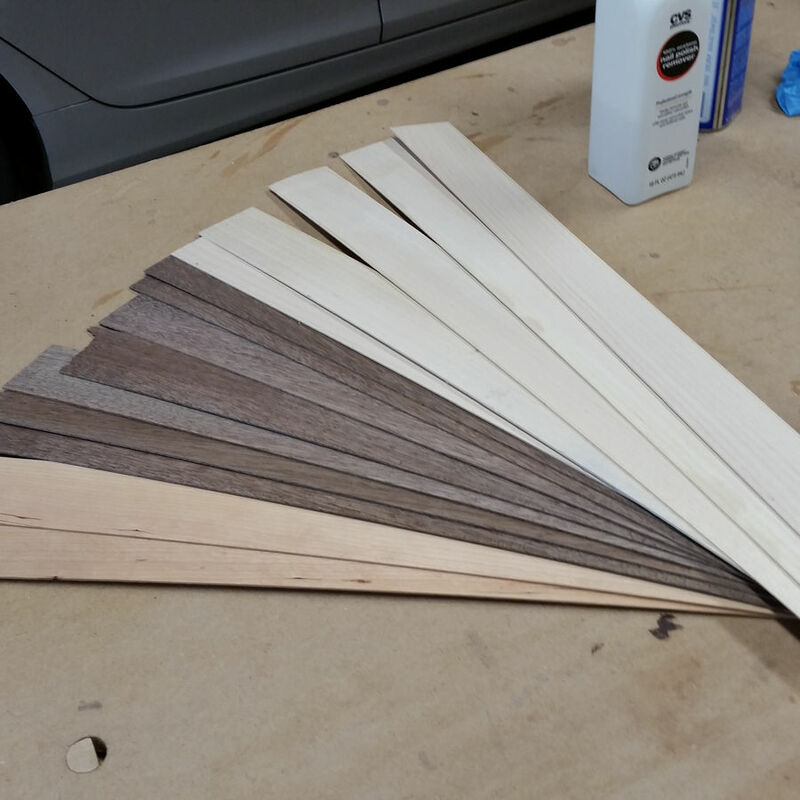 After that I glued them together in a sandwich, and got them to final thickness with a hand plane. 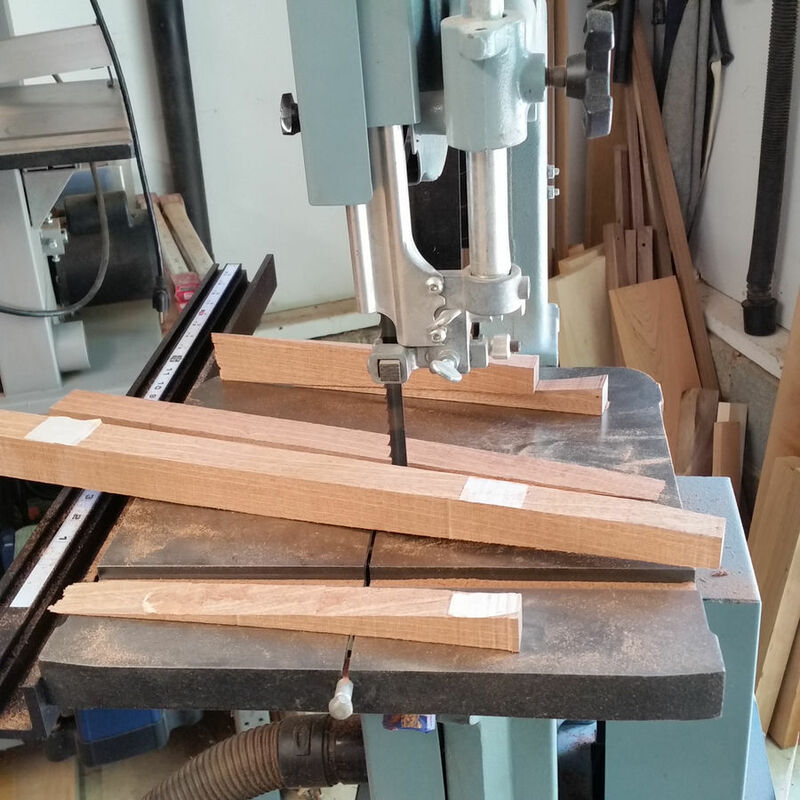 After that, I ripped them into strips for the inlay. 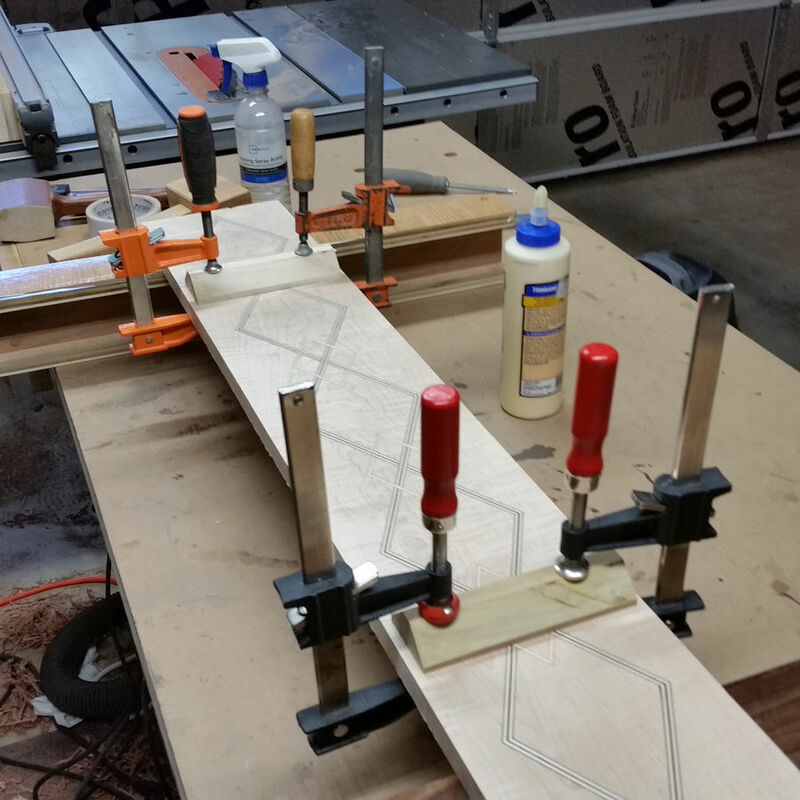 This was my set up for routing the inlay. I drew out the pattern on the face of the board. Then I used a spacer that was the width of the router base from the flat part of the base to the center line of the bit. 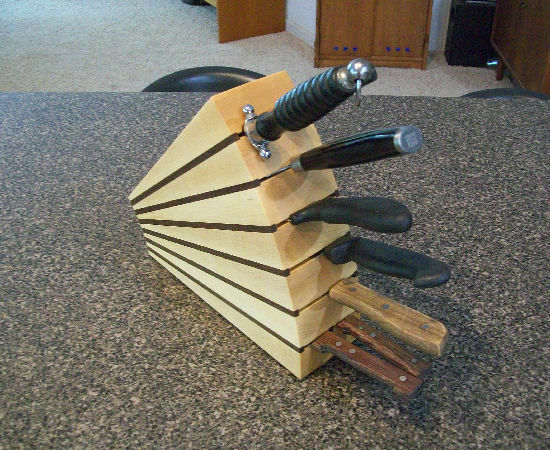 I'd line it up and clamp the straight edge (a scrap piece of plywood), then make the cut. The hardest part was plunging the bit down as straight as possible. I make a few little dips, but nothing too terrible. 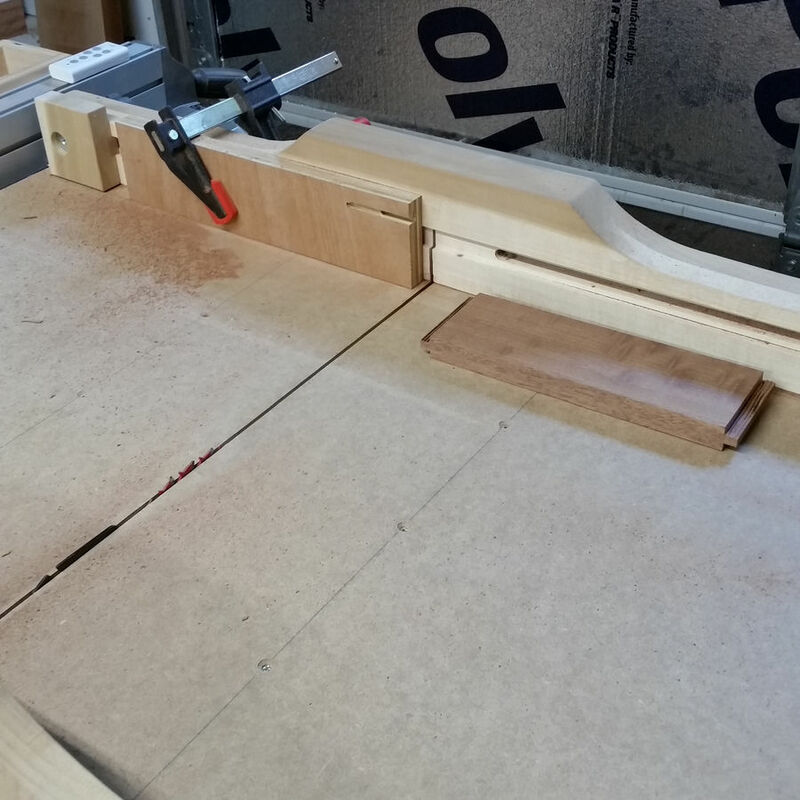 Cleaning up the corners after routing. 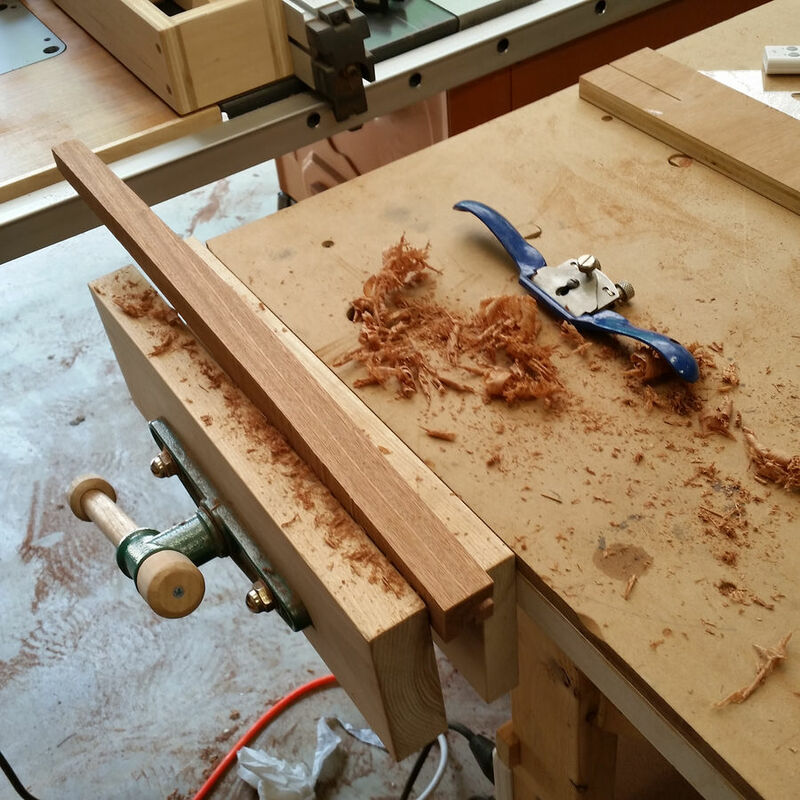 The 1/8" cutter from my router plane held by hand was pretty useful here. 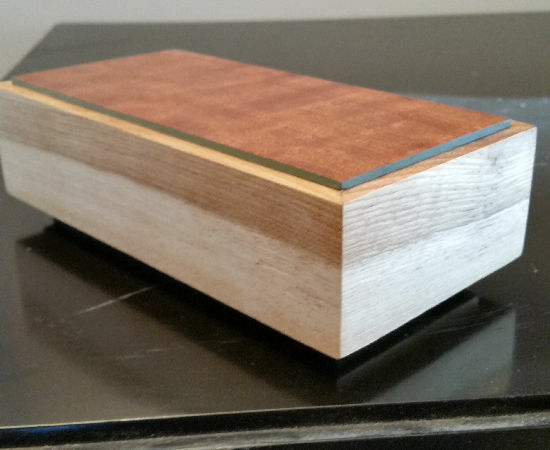 I made a miter box with the proper angles to fit the inlay. The diamonds have the same angles, so there was only two angles to cut. This took a couple hours. I used hide glue to glue them in. I wanted the extra time to get it all in arranged. 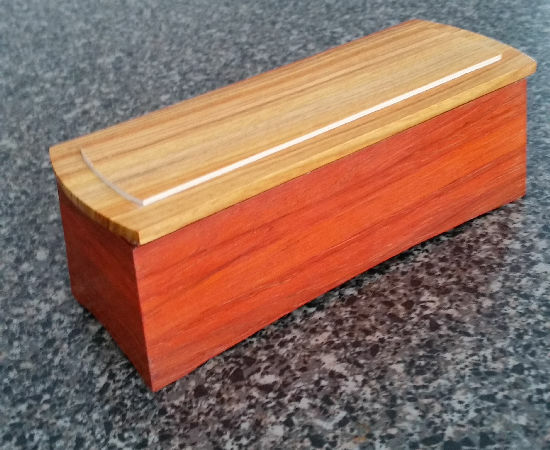 I had a couple of pieces of sapele that I've been looking for a place to use. It has some very nice figuring to it. In addition to the ribbon that you usually get, this had some pommel grain patterns, which were beautiful. I dressed the legs square, then used a pattern to draw the curves on the legs. 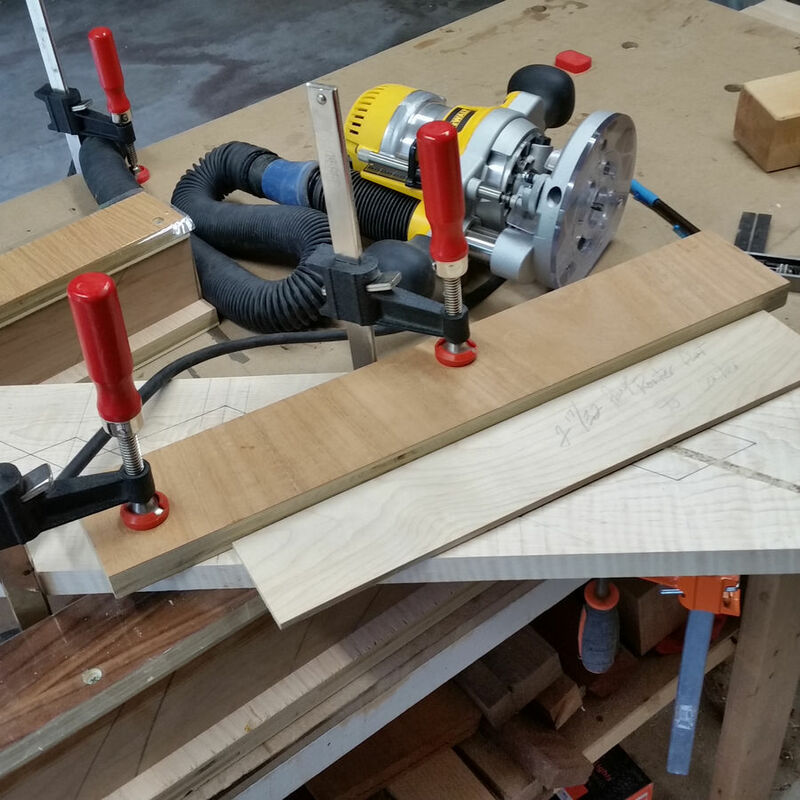 Before I cut the curves, I cut mortises for the aprons on the router. 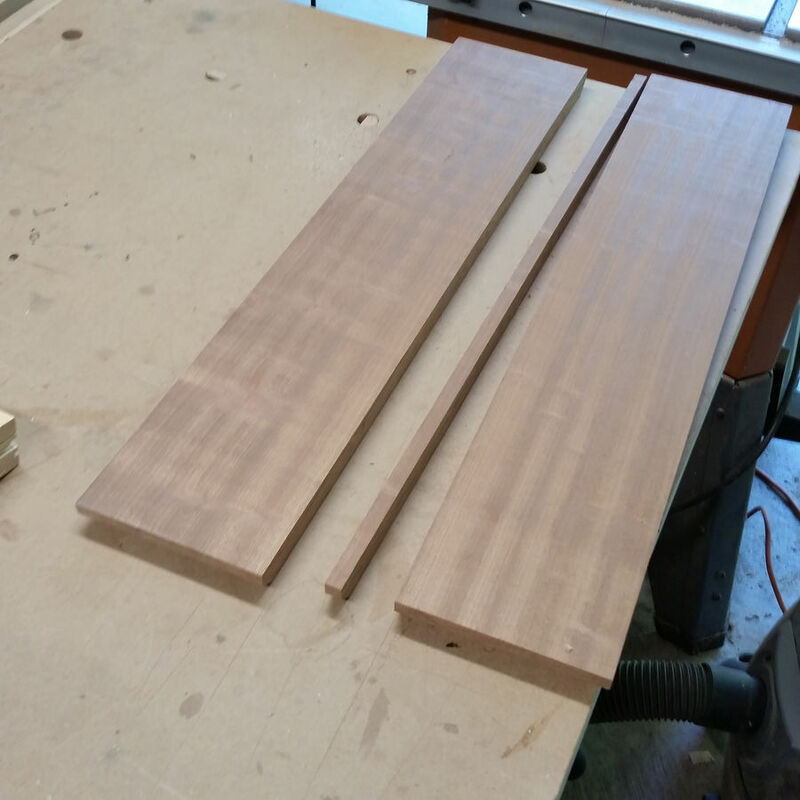 Then, I cut the apron pieces to size and cut the tenons on the table saw. Next up was fitting the apron pieces to the legs. 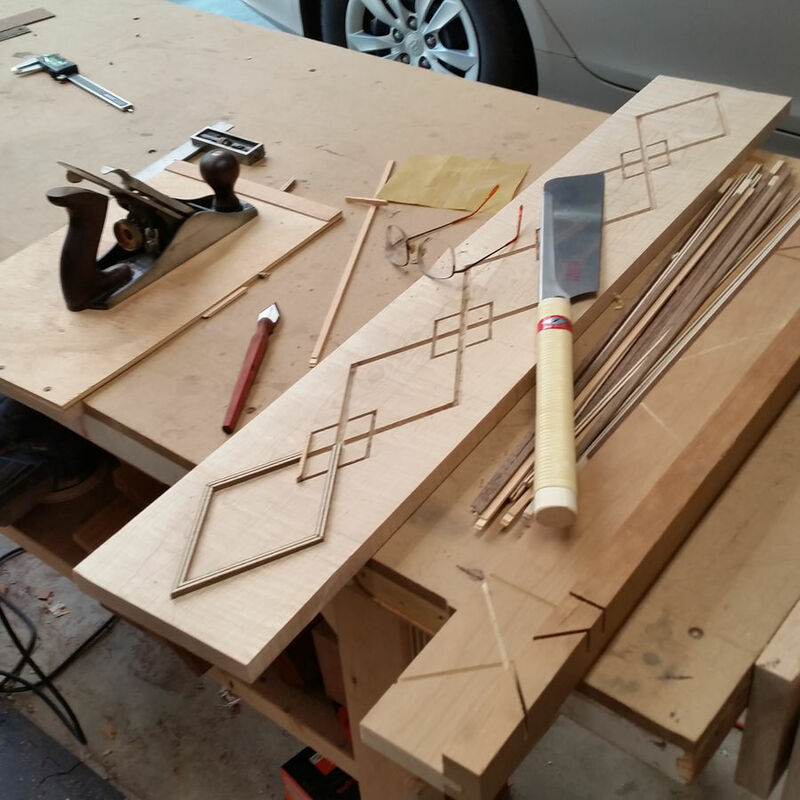 After that, I cut a slight curve along the bottom edges of the apron pieces. 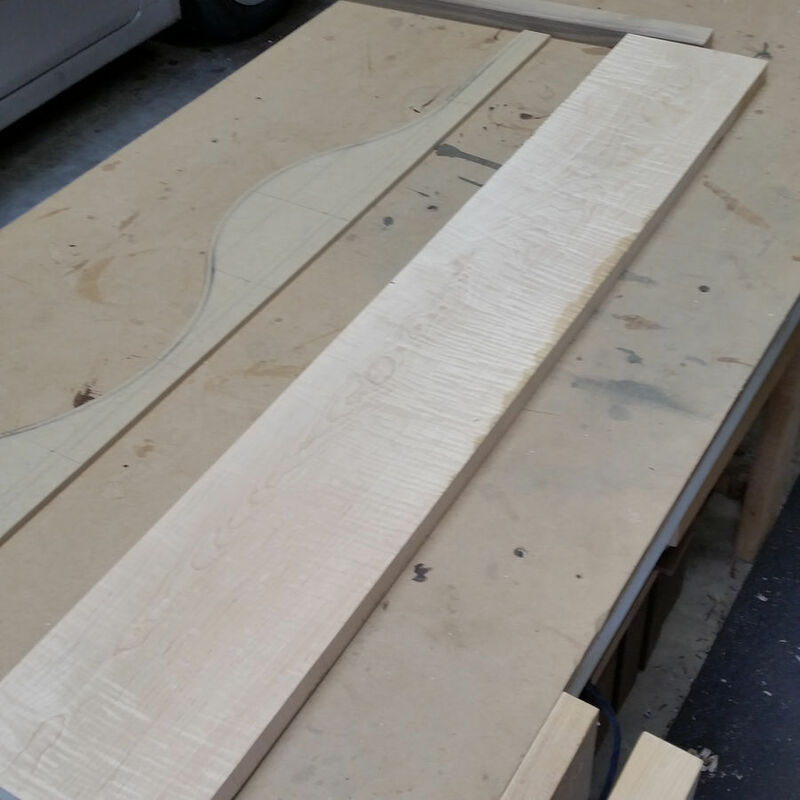 After all of the pieces fit together, I was ready to cut the curves on the band saw. 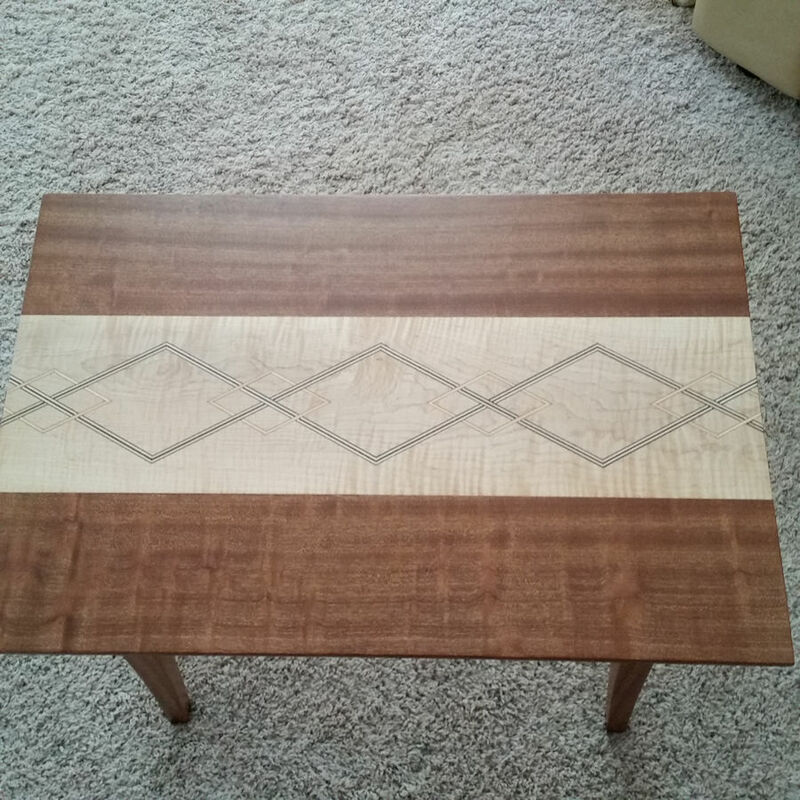 Since all four side get a curve, I used double stick tape to stick the first pieces I cut off back on and give me a flat surface to run along the table, and the top part had the lines that I had drawn, so that got stuck on as well. 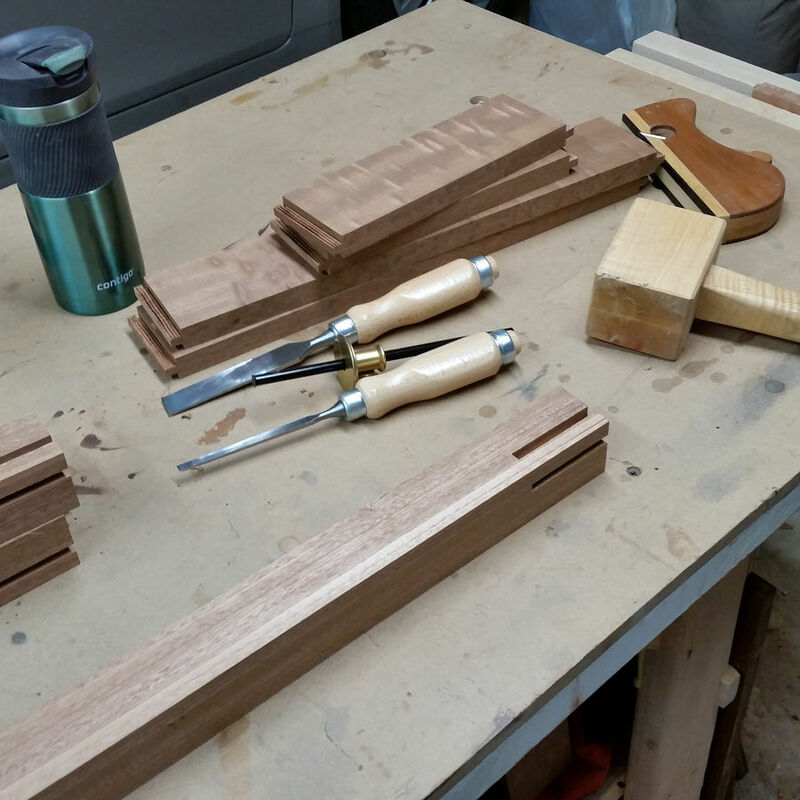 After the band saw, the legs needed to be cleaned up. I like a spokeshave for this. The runner cleaned up pretty nicely with a little attention from a smoothing plane. There are a couple of blips, but I'm satisfied with it. 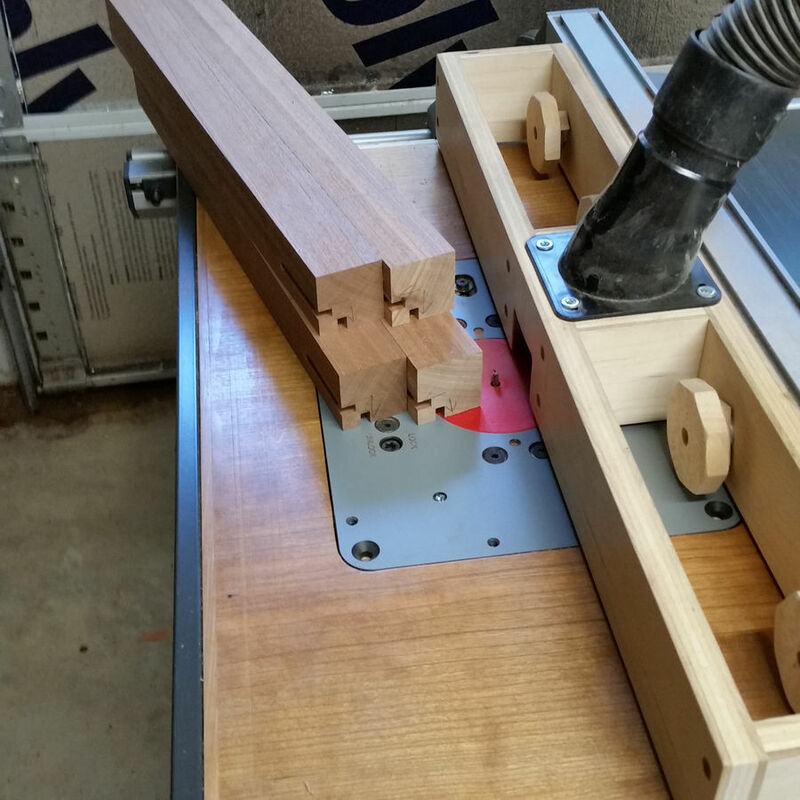 A little Famowood will fill the few gaps, and hardly be noticeable when it's finished. 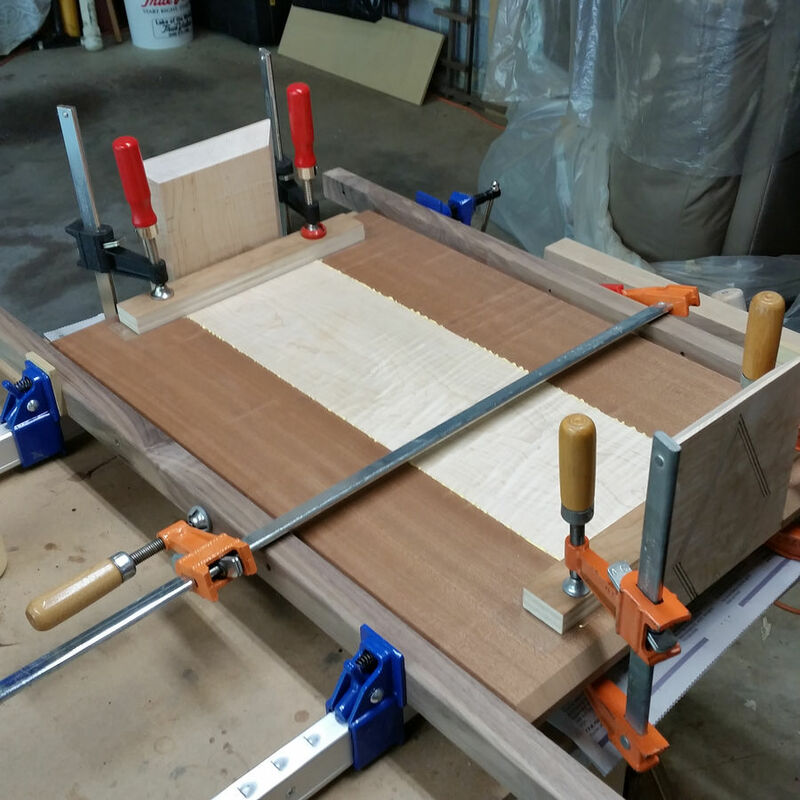 One technique that I liked from the video, was the way he cut the miters. 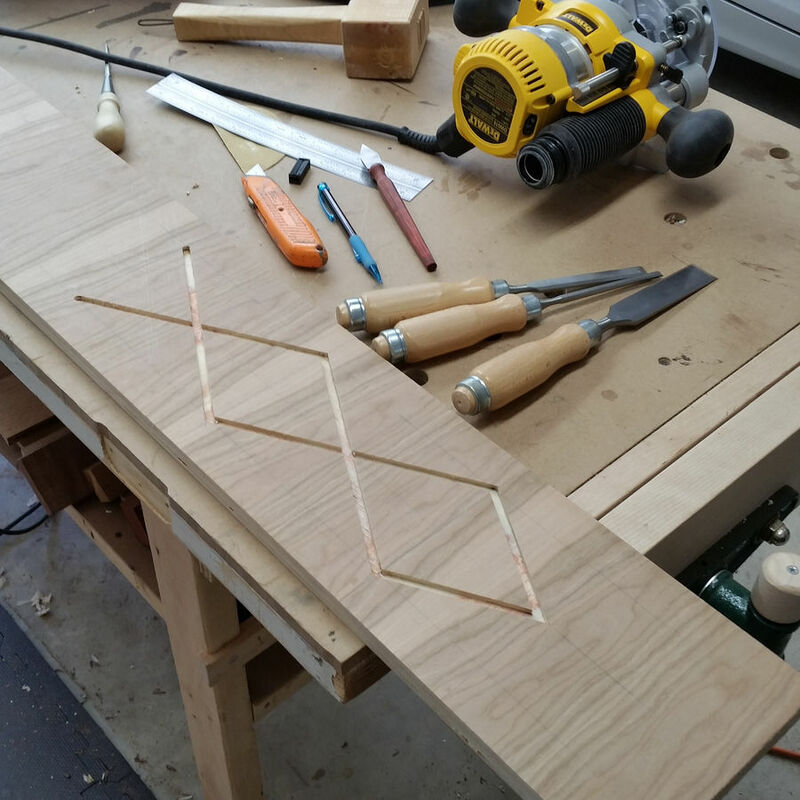 He glued on two sacrificial pieces, that had been chamfered right over where the cut will be. He cut it square. 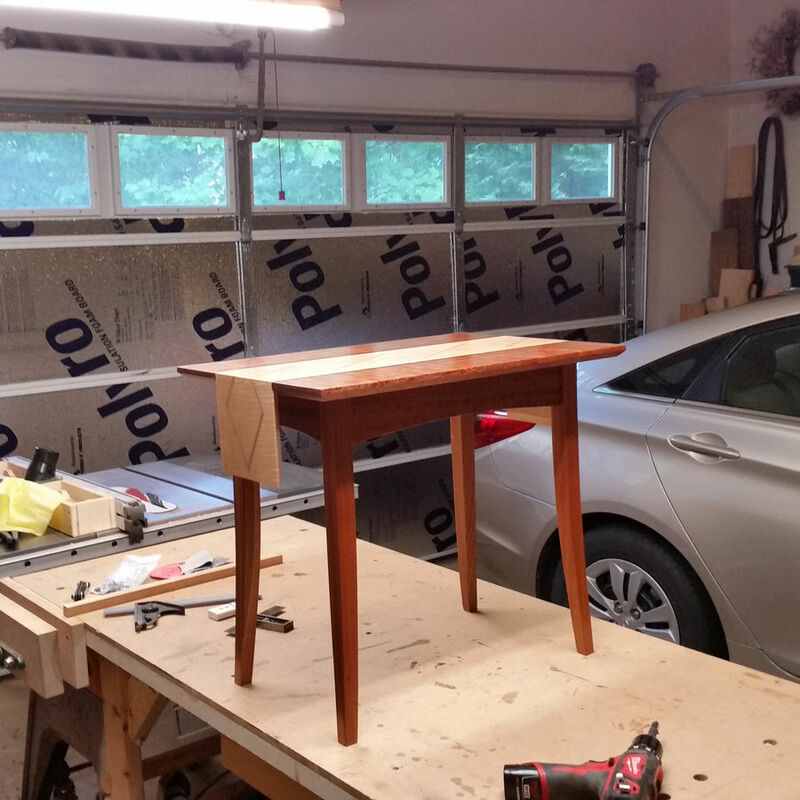 The remainder of the table top came from a single board. 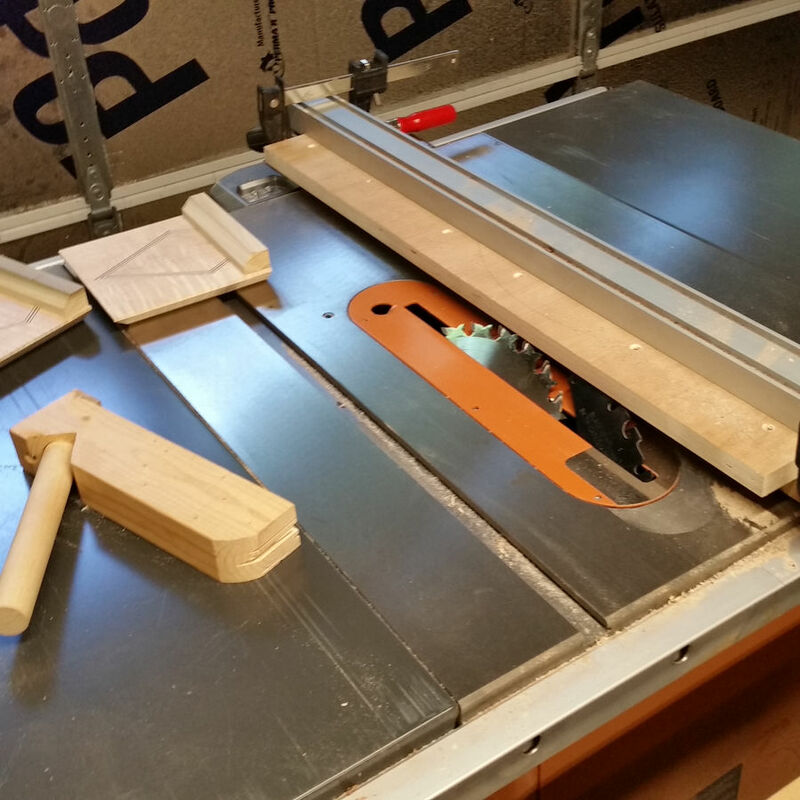 I cut a chamfer around the bottom edge and then I cut it to final width. 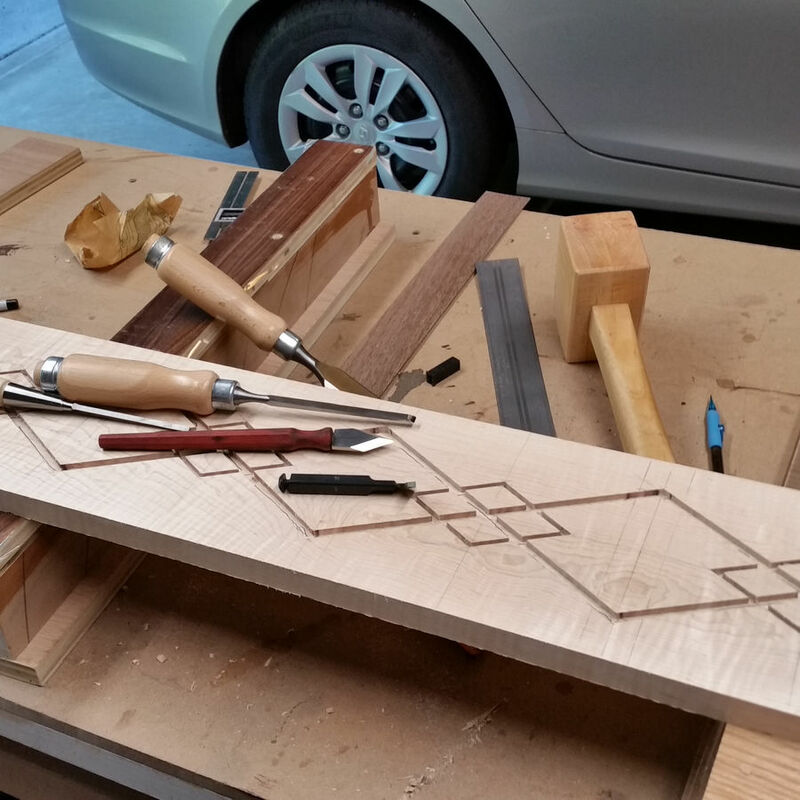 One small problem with the miter technique: There were two small chunks of inlay that tore out (you can also see a bad cut on the inlay). 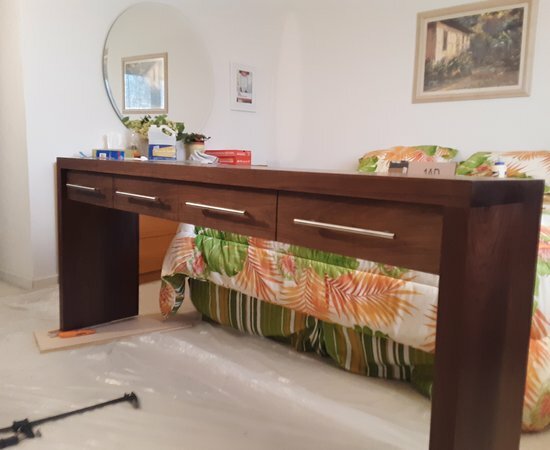 A little bit of clear epoxy, and I can hardly find it after the finish went on. 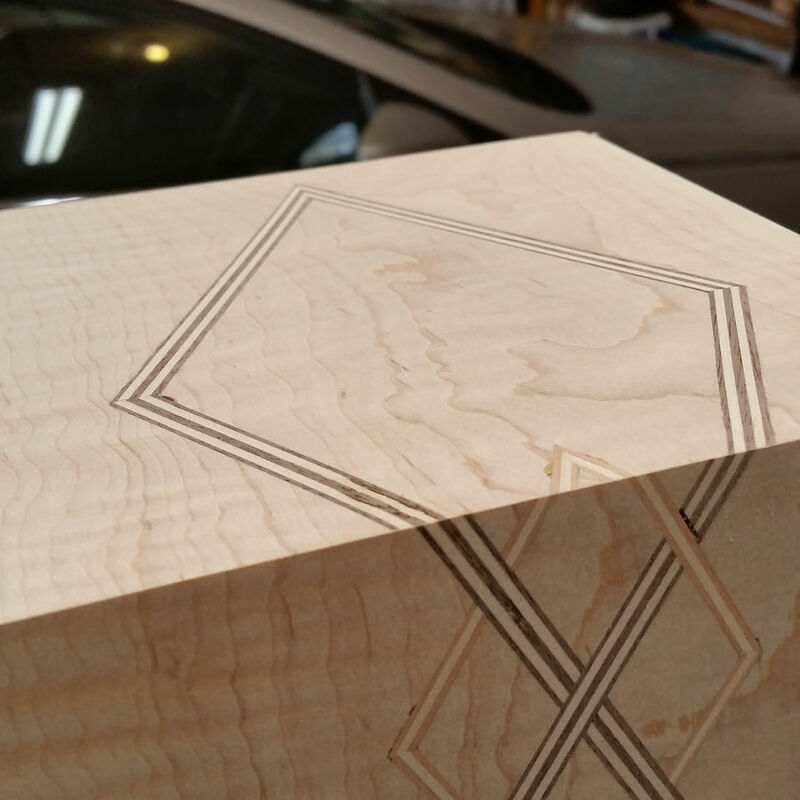 The bad inlay cut, I fixed with slicing a small piece that I tapped down into that gap. 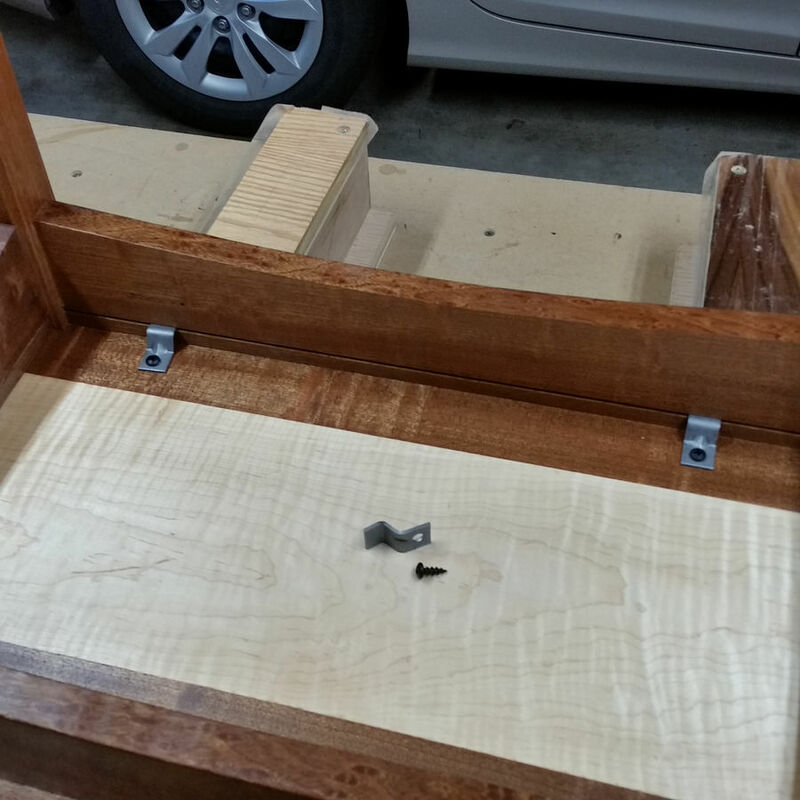 When I was cutting the pieces for the apron, I cut a slot on the table saw for the table top fasteners. Figure 8 fasteners work just as well; I'm just used to these, so that's what I use. I finished it with several coats of wiping poly, and buffed it out with steel wool and paste wax. I'm happy with the way it turned out, especially for a first time. I like the combination of colors. This one will end up in my living room. Thanks for looking. This looks great! 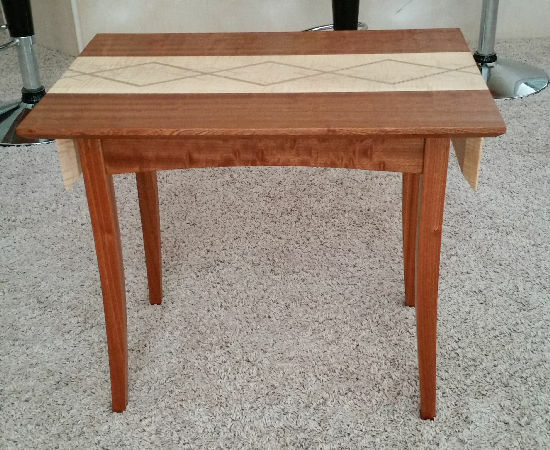 What would be the best way to get the inlay to remain lined up on the miters for the top?